Welcome to the February 2019 issue of the Global Washington newsletter. There is a growing understanding that placing women at the center of global development programs is critical to short- and long-term success. 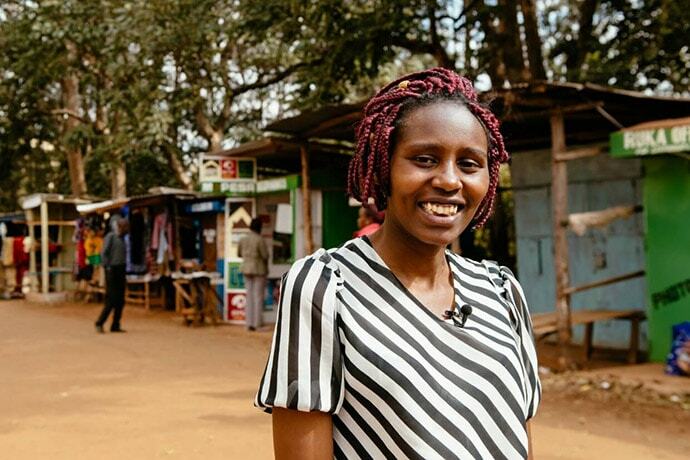 When it comes to economic empowerment, statistic show that when a woman gains her own income, she prioritizes investing in her children’s education and other family needs. This has an economic ripple effect from the household to the community and all the way up to strengthening national economies. Sarah Hendriks, who heads up Gender Equality at The Bill and Melinda Gates Foundation, shared at the Global Washington conference last December that economic empowerment of women is also a powerful lever to achieving gender equity. Global Washington member organizations have documented the increase in agency, voice and choice when a woman gains her own income. Increasingly, organizations are more intention in achieving this empowerment outcome through their economic development programs. Unfortunately, this is not as simple as it sounds. Multiple barriers keep women from having a stronger voice in their household and community. Continuing with our theme of exploring solutions to so-called “wicked problems,” this month we have been unpacking the opportunity that economic empowerment of women presents, one that also often leads to greater civic engagement and political participation. In our newsletter, we explore how Fair Trade USA’s model supports women’s economic opportunity and local leadership. We also profile Abby Maxman, Oxfam America’s president and CEO. If you missed our panel event earlier this month with senior leaders from Oxfam America, Fair Trade USA and CARE USA, you can watch the video recording here. Global Washington is also supporting events focused on empowering women and girls in February and around International Women’s Day in early March. Check out our event page and I hope to see you at one of our up-coming events. Fabiola Lauro, 33, from Imuris, Mexico, smiles inside the “Fair Trade Store”. Fabiola, a mother of two, has been working at Wholesum since 2012. Currently employed as a manager in the seedling section, she was elected as president of the Fair Trade Committee in 2016. Photo: James A. Rodriguez. © 2016 Fair Trade USA. A thoughtful model and a little bit of encouragement is sometimes all that is needed to empower women in potentially intimidating workspaces. Or at least for Fabiola, this was the case. Fabiola worked at a vegetable greenhouse in Sonora in northern Mexico when the farm decided to become Fair Trade certified. Fabiola, one of thousands of workers, was elected to be a representative on her farm’s Fair Trade Committee. She was shy and hesitated to speak in front of others. As a part of the committee, she received training and learned how to negotiate and represent her fellow co-workers’ concerns. Nathalie Marin-Gest, Fair Trade USA Senior Director of Produce & Floral, visited Fabiola’s farm a year after she was elected to the committee. Fabiola had embraced her new role whole-heartedly. Marin-Gest said Fabiola was firing a construction manager who was not doing a good job and hosting meetings with thousands of workers with ease. She was emboldened by being on the committee and learning how the farm production process worked. She was advocating for workers and communicating with suppliers regularly. Moments like these reveal just how much deeper than a label on a bag of coffee or sweatshirt Fair Trade USA’s work goes. When we hear “fair trade,” it’s easy to simply acknowledge that a label like that ensures ethical practices and fair business, but the actual work of Fair Trade USA is much more intricate and weighty than that. Fair Trade USA helps develop sustainable supply chains by setting rigorous social and environmental standards that farms, factories and fisheries around the world are certified against by third-party certification bodies. To achieve Fair Trade certification, Fair Trade USA has developed detailed certification criteria for the different product categories, like the Agriculture Production Standard (APS), which is more than 100 pages long. These standards set basic principles in each workplace like eliminating workplace discrimination, requiring equal pay for equal work, as well as ensuring that workers make at least minimum wage or above. These standards also include criteria around maternity leave for women and ensure that employers cannot force women to take pregnancy tests before they are hired, which is a practice unfortunately common on many farms that do not want to take on the supposed burden of hiring a woman who will need to leave to give birth. Besides the impact created from compliance with the Fair Trade Standards, when products are sold with the Fair Trade Certified™ seal, a few extra cents go back to the workers and small producers. These Fair Trade Community Development Funds are pooled and used collectively on projects that help meet the needs of those within the scope of the certificate. In order to manage the funds appropriately and represent all participants, the APS has an Empowerment module that requires the formation of a Fair Trade Committee. Fair Trade USA requires its partners to map their workforce and see who actually works for the company in order to ensure that the Fair Trade Committee is made up of a group of people that actually represents the workforce (number of men or women, migrants or locals, or those with disabilities, job type, etc.). The general assembly of small farmers or workers then elects the committee members. A needs assessment of all the small farmers or workers (on large farms) is conducted to direct the decisions on how to use the Fair Trade Community Development Funds. The Fair Trade Committee then develops projects based on the needs of the general assembly members, their families and communities. Projects focus on helping to solve community problems and make work more accessible, particularly for women. In Ecuador, women working on a floral farm that was Fair Trade Certified began to get sick. The women were working six days a week, and on Sundays, their only day off, women would go into the river to wash their family’s clothes. The high-altitude river was getting contaminated, and women were having bone and respiratory problems. 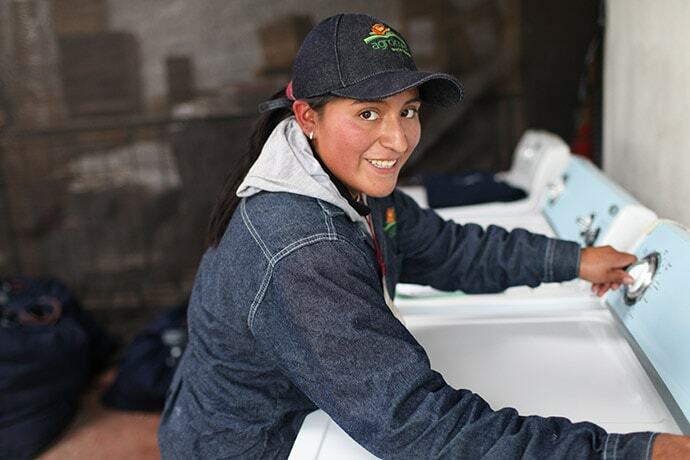 After the Fair Trade Committee at the farm looked deeply at the root causes of why so many women were getting sick, they decided to use their Fair Trade Community Development Funds to create a laundromat, employing an attendant to do the laundry, on-site at their farm. Women can now bring their family’s laundry to work and leave at the end of the day with clean, folded laundry. Suddenly, women actually had a day to rest at the end of a long workweek and were much healthier. Marin-Gest said that small innovation led to some women finishing up school or starting their own businesses. Luz Sisa, 24, from Mulalo, Ecuador, does her laundry at Agrocoex’s complementary laundry room. 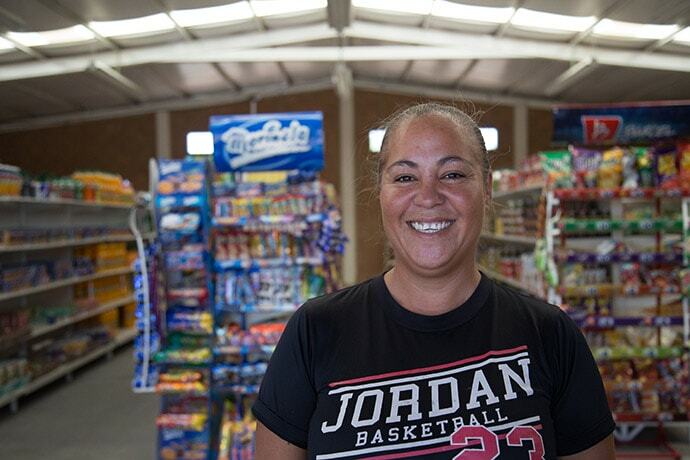 Luz, a mother of two, has been working at Agrocoex since 2010. Photo: James A. Rodriguez. © 2015 Fair Trade USA. “Their lives have changed completely just from setting up a little laundromat program, because they dug deep and found out what was really happening; they were creative and found a solution that changed lives dramatically,” she said. Farms, fisheries and factories that are Fair Trade Certified™ must continue to not only meet the certification standards but also continue to improve their workforce environments in order to keep their workers. Internationally, farmers have been experiencing labor shortages, and Marin-Gest said Fair Trade USA’s affiliates have actually seen just the opposite, due in part to the standards and good work environments those standards create for workers. This makes sense with a model that encourages workers to not only have better lives but also re-invest their Fair Trade Community Development Funds into programs that are good for the community. Marin-Gest pointed to examples like women creating their own sewing design shops or pig nurseries with the Community Development Funds, or building homes and communities near to farms, to eliminate commute stress or family separation. Fair Trade USA also provides financial literacy training, which really helps families plan their financial lives, as well. 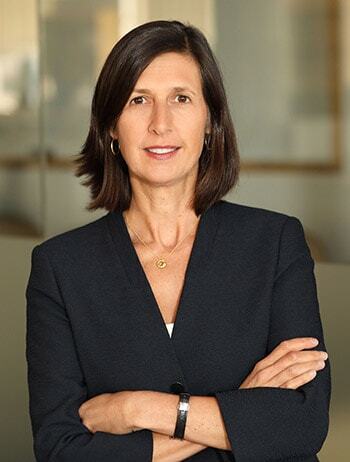 Abby Maxman was a long-time admirer of Oxfam America before she became its president and CEO in June 2017. Throughout her 30-year career in international aid and development, she has always been drawn to Oxfam’s underlying philosophy, “that systemic injustices keep people poor, and it’s not an accident,” says Maxman. Maxman has dedicated her life’s work to fighting the injustice of poverty, but she didn’t always know this is how her career would unfold. Maxman credits the Quaker school she attended as a child for exposing her to issues of social justice around the world. There, she was first confronted with shocking images from the 1984 famine in Ethiopia and institutionalized racism in apartheid South Africa. At the time, Nelson Mandela was still in prison and the HIV/AIDS epidemic was just beginning to hit the public consciousness. 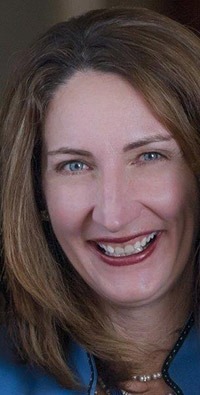 Looking back, Maxman believes these events were seminal moments in her own awareness and connection with international issues. But even as she studied for a degree in political science and history, she wasn’t sure what she wanted to do. “But I knew I had this vague, probably uninformed, interest of wanting to make a difference in the world,” she says. Then, one rejection changed the course of her life. Maxman’s heart was set on a research fellowship in Latin America after college. But when someone advised her not to count on only one thing, she half-heartedly applied for the Peace Corps, as well. She was devastated when she didn’t get the fellowship. However, the Peace Corps wanted her, and she was soon on her way to Lesotho as an agriculture and community development worker. “Without a doubt, that was probably the best thing that ever happened to me, because it opened this world to me of international humanitarian relief and development, multilateralism, the UN architecture – everything just opened up to me in that learning journey,” she says. In Lesotho, she witnessed apartheid first-hand, as well as the fortitude and resilience of women who regularly faced financial exploitation and led their households in the absence of men, most of whom had left for South Africa as laborers. 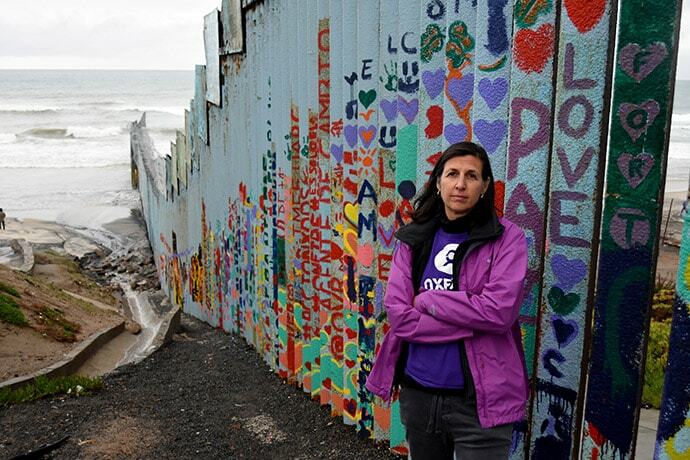 Oxfam America President Abby Maxman at the border wall separating the US and Mexico. Photo: Oxfam/Alyssa Eisenstein. This is something that she has felt is “absolutely essential” as she’s navigated her lengthy career – from the Peace Corps to the World Food Programme, to the German development agency GTZ (now GIZ), to 20 years at CARE, where she eventually became the deputy secretary general of CARE International. Now at Oxfam America, she plans to continue pushing for policy solutions to systemic issues, particularly around gender justice. Maxman has worked with many women’s economic empowerment programs, including Oxfam’s village savings groups program, Savings for Change. She’s witnessed how savings not only allows women to have more say in the health and education of their families, but also creates social cohesion, gives them a place to convene for support and community, opens up more economic opportunities,, and provides them the means to participate in socially important things, like funerals. That includes the U.S., where Maxman says Oxfam America’s domestic program will continue to advocate for social change on issues of women’s rights, human rights, worker rights, and social justice for excluded and marginalized populations. It’s not just because injustice and poverty are wrong regardless of whether they’re in a developing or developed country, but also because what happens in the U.S. affects the rest of the world. Maxman is also committed to making sure Oxfam is a better model of equity in the workplace and on the frontlines of their work around the world. February 13: World Affairs Council // Is Globalization Sustainable?